A few years ago, I began to study photography because I wanted to better understand the presentation of any given image. With the arrival of Robert Liu’s book, Photography of Personal Adornment*, my education has been greatly facilitated. These days when our attention is always at risk of being diverted, the power of a strong photograph is of greater importance than ever. 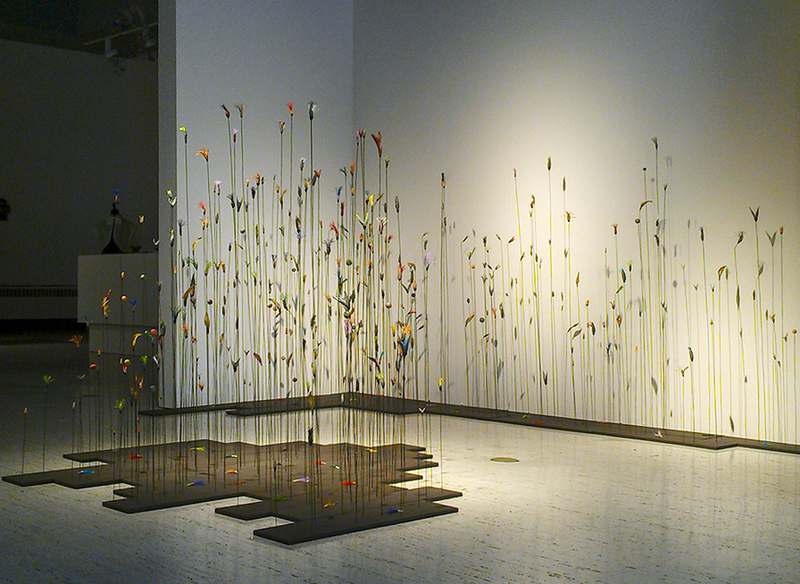 With the coming of spring, two new gallery shows featuring polymer art will be on view. One show is in winter-weary Philadelphia and the other one in sunny St. Petersburg, Florida, but both will present a diverse range of new pieces. Well versed in the realm of numbers, Judy Belcher applies mathematical thinking to her practice of art. Belcher is the author of 2 books on polymer art* and a master educator about polymer in terms of studio practice and public outreach. These accomplishments all draw upon her extensive organizational, communication and business skills. She has been a strong advocate for polymer and other crafts at both the state (West Virginia) and the national level. Belcher moves fluidly between polymer enthusiasts and the larger network of craft organizations. The value of Belcher’s business experience and her capacity to get things done cannot be underestimated. In the spring of 2014, Diane Levesque, wearing her Assistant Professor of Studio Art hat, taught the first full semester class on polymer technique at Carthage College in Kenosha, WI. This was a major development in polymer education, as polymer technique had never before been integrated into a college curriculum. In order for this to happen, Levesque wrote a proposal advocating the value of polymer as a means to teach color theory and presented a complete curriculum, which then had to be approved by college officials. Students from the spring 2014 polymer class were enthusiastic about the class, which bodes well for future enrollment. After polymer class has been taught twice more for a total of 3 times, it will achieve a permanent position in the art department’s studio offerings. polymer and took it upon herself to learn more. She enrolled in a polymer workshop taught by Lindly Haunani for some “hands on” experience and attended the IPCG Synergy 3 conference in 2013. Ultimately, Haunani and Maggie Maggio’s book, Polymer Clay: Color Inspirations became the textbook for Levesque’s class. In conjunction with the introduction of polymer into the Carthage art department class rotation, Levesque, donned her hat as the Director of the H. F. Johnson Gallery of Art at Carthage College and scheduled an exhibition of polymer art. As the curator, Levesque invited 25 artists to send recent or significant artwork for display in a show entitled: A-Revisioning: New Works in Polymer. The exhibition opened on September 9, 2014 and ran through October 25, 2014. The well-designed exhibit, installed in the white-box, on-campus gallery space, contained a wide range of works. Several stellar pieces were placed to spark attendees’ interest immediately upon entry. While these pieces might have been placed in the foreground as highlights, the depth of the show continued throughout the room.